3 starts the out of bounds by hitting hard on the ball. 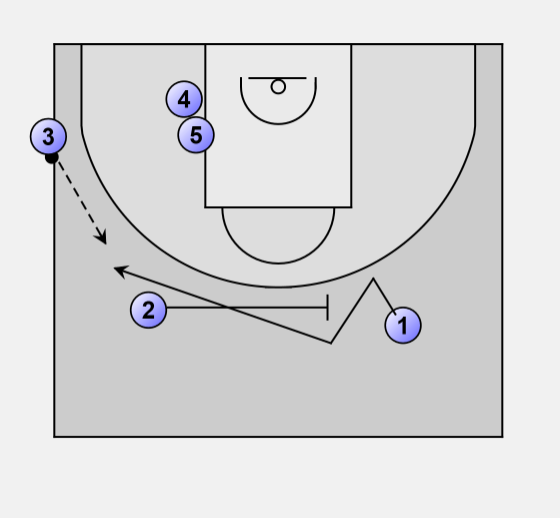 2 sets a screen on the defender of 1. 1 setups his defender so that he bumps into the screen. 3 cuts over the double screen of 4 and 5. 2. 1 gives a quick pass to 2 (for a better passing angle), who passes the ball to the cutting 3. If 3 doesn't get the ball he goes to the weak side out of the three point area. 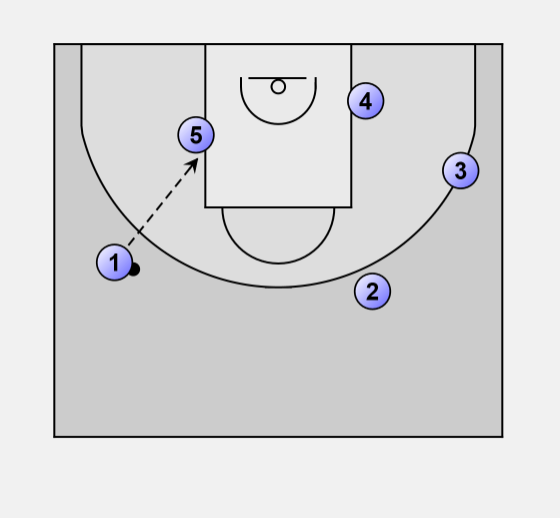 5 sets a screen for 4. 4 goes over the screen of 5 and receives the ball from 1 or 2. If 4 doesn't get the ball he goes to the low post on the weak side. After the screen on 4, 5 rolls to the ball and if possible receives the ball from 1.